This is the time of year when colds and sniffles start creeping in - the temperature is all up the yin-yang and it can be difficult to work out whether you're hot or cold, work stresses are in full swing and the humid summer has been breeding bugs like nobodies business. It's when you want to get started on a serious multivitamin to give your body as much support as it can get, and I've just heard about a new one that sounds exactly what the doctor ordered. With so many options available, choosing a multivitamin that’s ‘right’ for you can be a difficult choice. New Zealand Naturopath and Technical Adviser for Natural Meds, Michelè Wilton, says: “It’s very unlikely people are receiving everything they need from the foods they consume, unless they eat organically-grown fruit and vegetables and other food groups daily that provide a baseline of the vitamins and minerals our bodies require." 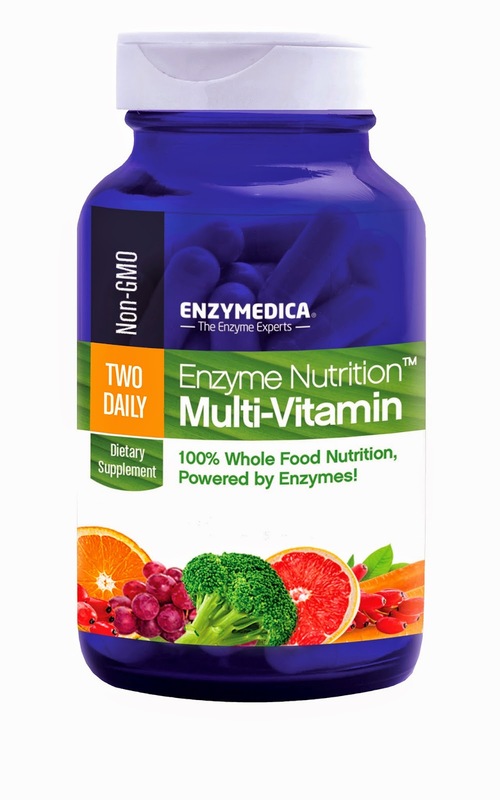 As the market leader in producing cutting-edge enzyme formulas, Enzymedica’s Enzyme Nutrition™ Two Daily Multi-Vitamin is a comprehensive multivitamin that offers high potency enzymes and probiotics alongside compound-rich botanicals with nutrient-dense whole foods – making it one of the best multis on the market. Lucky for you I have some to giveaway, so drop me a line on helene@mshelene.com with your name and physical address before this Friday, March 13 at 5pm and you're in the draw!